Son of the late Thomas Wallbank and Nancy Highton, of 3 Haslam Street, Burnley, Lancashire. Husband of Bessie Miller. Resided 76 Capmartin Road, Radford. Killed in the April Raids 11/04/1941 at Capmartin Road Aged 44. Buried London Road Cemetery, Coventry. Born 12/02/1908 at Coventry. Son of Edward and Annice Elizabeth Walford of 33 Princess Street. Husband of Esther Walford. Father of Edwin (Jnr), Esther, and Norman listed below also of Joyce and Annice. Resided at 12 Miles Meadow. Employed at the British Thomson-Houston Company Limited. Died Aged 32 in the Coventry Blitz 15/11/1940 at 12 Miles Meadow. Buried Coventry Cemetery. Born 08/04/1930 at Coventry. Son of Edwin Walford and Esther Villiers. Resided at 12 Miles Meadow. School Boy. Killed in the Coventry Blitz 15/11/1940 at 12 Miles Meadow Aged 10. Buried Coventry Cemetery. Born 1909. Resided at 12 Miles Meadow. Wife of Edwin E Walford. Employed at the British Thomson-Houston Company Limited. Killed in the Coventry Blitz 15/11/1940 Aged 32 at 12 Miles Meadow. Buried Coventry Cemetery. Born 07/04/1937 Coventry. Resided at 12 Miles Meadow. Daughter of Edwin and Esther Walford. Killed in the Coventry Blitz 15/11/1940 Aged 4 at 12 Miles Meadow. Buried Coventry Cemetery. Born 25/04/1928 Coventry. Son of Edwin and Esther Walford. Resided at 12 Miles Meadow. Killed in the Coventry Blitz 15/11/1940 Aged 12 at 12 Miles Meadow. Buried Coventry Cemetery. Born 1900 at Coventry. Daughter of George William Miles and Clara Pallet. (Sister of Lillian Olive Miles). Wife of Richard Walters. Mother of Richard Derrick Walters. Resided 75 Colchester Street, Hillfields, Coventry. Killed in the Coventry Blitz 14/11/1940 Aged 41 at the Motor Hotel, Dorset Road. Buried in the Communal Grave, London Road Cemetery, Coventry. Husband of Ethel May Miles. Father of Richard Derrick Walters. Resided 75 Colchester Street, Hillfields, Coventry. Killed in the Coventry Blitz 14/11/1940 Aged 42 at the Motor Hotel, Dorset Road. Buried in the Communal Grave, London Road Cemetery, Coventry. Son of Richard Walters and Ethel May Miles. Resided 75 Colchester Street, Hillfields, Coventry. Killed in the Coventry Blitz 14/11/1940 Aged 12 at the Motor Hotel, Dorset Road. Buried in the Communal Grave, London Road Cemetery, Coventry. Born 1906 Aston, Warwickshire. Son of Albert Thomas Walton a Tinsmith and Harriet Rose Harding. Husband of Sylvia Smart. Resided at 19 Clay Lane, Coventry. Air Raid Warden. Killed in the October Raids 21/10/1940 Aged 34 at 19 Clay Lane. Buried St Michael's, Stoke, Coventry. Born 24/04/1916 at Coventry. Son of the late John A Ward and Ethel L Asker of 11 Awson Street Resided. Employed at the Ordinance Depot Coventry. Fire Watcher. Killed in the April Raids 08/04/1941 Aged 24 at Awson Street. Buried in the communal grave at London Road Cemetery. Born 1937 at Coventry. Daughter of Mrs D M Ward Resided at 25 Nicholas Street. Killed in the Coventry Blitz 14/11/1940 at the City Isolation Hospital Whitley Aged 3. Buried London Road Cemetery Coventry. Born 17/07/1897 at Coventry. Husband of Louisa Ward. Father of Bert and George. Resided at 26 Stoney Stanton Road. Employed as an Auctioneers Porter. Killed in the April Raids 08/04/1941 at Stoney Stanton Road Aged 45. Buried in the communal grave at London Road Cemetery. Wife of E. J. Warner. Resided 6 Bateman's Acre, Radford, Coventry. Worked for the General Post Office. Injured in the April Raids 09/04/1941 at Bateman's Acre. Died later the same day at Warwick Hospital Aged 37. Resided 30 Alliance Way, Coventry. Husband of Evelyn. Father of Derek. Died 09/04/1941 at Warwick Hospital Aged 41. Born 13/03/1903 Lytham, Lancashire. Son of George Waterer a Recreation Groundsman and Annie Barnett of 39 Glencoe Road, Coventry, Warwickshire. Husband of Amelia May Payne of 5 Dane Road, Stoke, Coventry, Warwickshire. Traveller - Messrs Bank and James Wholesale Tobacco Trade. Senior Warden No. 698. Died 21/10/1940 Aged 37 at Clay Lane, Coventry, Warwickshire. Funeral at St Margarets Church. Cremated Perry Barr. Born 25/10/1905. Son of Samuel Watkin, of Barnacle, near Coventry. Husband of Gladys Watkin. Resided 77 Oldham Avenue, Wyken, Coventry. Employed C. M. F. Far Gosford Street. Leading Fireman (Auxiliary Fire Service). Injured 11/04/1941 whilst on duty at Meadow Street, Spon End, Coventry. Died later the same day at Warwick Hospital Aged 35. Born 04/10/1899 Warwick. Daughter of Harry John Goode and Bessie Harvey. Wife of Thomas Watkins. Mother of Dennis Watkins. Resided 116 Cash’s Lane. Housewife. Killed in the Coventry Blitz 14/11/1940 at Coventry and Warwickshire Hospital Aged 41. Buried in the Communal Grave, London Road Cemetery, Coventry. Son of Ernest Weeks and Violet Lily Villiers nee Brown of 84 Capmartin Road. Brother of twin sisters Irene Violet Weeks and Iris Lily Weeks half brother of Sidney (Sid) Villiers and Elsie Villers. Resided at 84 Capmartin Road. Killed in the April Raids 08/04/1941 at the Daimler Works Aged 15. Buried London Road Cemetery Coventry. Son of Mr and Mrs White of Blytheswood, Weedon Road, Northampton. Resided 150 Gadsby Street, Nuneaton. Killed in the April Raids 12/04/1941 Aged 52 at 3 Signal Box, London Midland Scottish Railway. Buried in the Communal Grave, London Road Cemetery, Coventry. Born 04/12/1869 at Northampton, Northamptonshire. Wife of Thomas White. Resided 152 Foleshill Road. Housewife. Killed in the Coventry Blitz 14/11/1940 Aged 71 at 152 Foleshill Road. Buried in the Communal Grave, London Road Cemetery, Coventry. Born 1874 at Syresham, Northamptonshire. Husband of Elizabeth White. Resided 152 Foleshill Road. Retired. Killed in the Coventry Blitz 14/11/1940 Aged 67 at 152 Foleshill Road. Buried in the Communal Grave, London Road Cemetery, Coventry. Daughter of Herbert Alec Whitehouse and Olive Annie Harrison. Resided 32 Clements Street, Coventry. Killed in the Coventry Blitz 14/11/1940 Aged 13 at Messrs Monks, Richmond Street, Coventry. Buried in the communal grave at London Road Cemetery, Coventry. Husband of Olive Annie Harrison and father of Mary. Resided 32 Clements Street, Coventry. Killed in the Coventry Blitz 14/11/1940 Aged 45 at Messrs Monks, Richmond Street, Coventry. Buried in the communal grave at London Road Cemetery, Coventry. Daughter of William Henry Harrison and Elizabeth Mary of 548 Binley Road, Coventry. Wife of Herbert Alec Whitehouse mother of Mary. Resided 32 Clements Street, Coventry. Killed in the Coventry Blitz 14/11/1940 Aged 41 at Messrs Monks, Richmond Street, Coventry. Buried in the communal grave at London Road Cemetery, Coventry. Born 26/06/1899 at Bournemouth. Husband of Lily F Andrews. Retailer at 11 Clay Lane. Air Raid Warden. Killed in the October Raids 21/10/1940 Aged 41 at 11 Clay Lane, Stoke, Coventry. Buried Stoke St Michaels Churchyard. Born 08/05/1924 at Coventry. Daughter of Joseph Willetts and Maria Poole. Resided 2 Coventry Street, Stoke, Coventry. Employed as Hairdresser at Gerald Lucas Limited. Killed in the April Raids 09/04/1941 Aged 16 at Barras Green Working Men’s Club. Buried in the communal grave at London Road Cemetery, Coventry. Born 1897 Birmingham. Resided 2 Coventry Street. Husband of Maria Poole. Father of Annie. He was employed by Riley Motors Limied. Killed in the April Raids 09/04/1941 Aged 45 at the Barras Green Working Mens Club. Buried in the communal grave at London Road Cemetery Coventry. Born 29/01/1900 Stoke, Coventry. Daughter of the late Samuel Poole and Amelia Copeland nee Beaufoy formerly Poole of 29 Coventry Street. Resided 2 Coventry Street. Wife of Joseph. She was employed as Manageress at the Barras Green Working Men’s Club. Killed in the April Raids 09/04/1941 Aged 45 at the Barras Green Working Men’s Club. Buried in the communal grave at London Road Cemetery Coventry. Born 21/08/1890 Pentre Ystrad, Glamorgan. Daughter of John Francis and Margaret Adams of 15 Church Street, Treherbert, South Wales. Widow of Thomas Williams. Resided 38 Oldfield Road, Coventry, Warwickshire. Housewife. Died in the April Raids 08/04/1941 Aged 49 at Oldfield Road, Coventry, Warwickshire. Buried in the Communal Grave, London Road Cemetery, Coventry, Warwickshire. Born 10/11/1862. Resided 342 Foleshill Road, Foleshill, Coventry, Warwickshire. Injured in the Coventry Blitz 14/11/1940. Died on 26/11/1940 at Rugby Emergency Hospital, Rugby, Warwickshire. Son of Mrs. Willn, of 8 Coleshill Road, Chapel End, Nuneaton. Husband of Lillian G. I. Willn, of 11 Clement Street, Nuneaton. Member of the Auxiliary Fire Service. Killed in the April Raids 09/04/1941 Aged 31 at Daimler No. 1 Factory. Buried Hartshill Cemetery, Chapel Hill, Nuneaton. Born 11/11/1923 at Coventry. Son of William John Willson and Clara Toon. Brother of Jessie Willson. Resided 8 Queen Marys Road, Foleshill, Coventry. A. R. P. Employed as Stores Assistant at Sir W. G. Armstrong Whitworth Aircraft Limited. Injured in the April Raids 08/04/1941 died 09/04/1941 at Warwick Hospital Aged 17. May have been buried at Warwick municipal cemetery. Resided 39 Much Park Street. Killed in the April Raids 10/04/1941 at Warwick Row Shelter Aged 63. Buried London Road Cemetery. Born 19/02/1868 at Rugby. Resided 201 Attleborough Road, Nuneaton. Daughter of the late Joseph and Mary Jane Carrington, of Bexhill-on-Sea, Sussex. Widow of Alfred Wilson. Killed in the Coventry Blitz 14/11/1940 at 51 Spon Street Aged 72. Buried London Road Cemetery Coventry. Born 12/11/1914 at Londonderry. Daughter of the late John and S. Carlin, of 127 Middlecotes, Tile Hill. Wife of Richard Wiseman. Resided 407 Foleshill Road. Housewife. Killed in the Coventry Blitz 15/11/1940 Aged 25. Buried in the Communal Grave, London Road Cemetery, Coventry. Born 1933 Coventry. Daughter of John Gregory Witcomb and Ethel Betteridge. Resided 111 Beechwood Avenue. Killed in the Coventry Blitz 14/11/1940 Aged 7 at 111 Beechwood Avenue. Buried in the communal grave at London Road Cemetery, Coventry. Born 1928 Coventry. Daughter of John Gregory Witcomb and Ethel Betteridge. Resided 111 Beechwood Avenue. Killed in the Coventry Blitz 14/11/1940 Aged 11 at 111 Beechwood Avenue. Buried in the communal grave at London Road Cemetery, Coventry. Wife of John Gregory Witcomb. Resided 111 Beechwood Avenue. Killed in the Coventry Blitz 14/11/1940 Aged 38 at 111 Beechwood Avenue. Buried in the communal grave at London Road Cemetery, Coventry. Husband of Ethel Betteridge. Resided 111 Beechwood Avenue. Killed in the Coventry Blitz 14/11/1940 Aged 47 at 111 Beechwood Avenue. Buried in the communal grave at London Road Cemetery, Coventry. Born 1923 Coventry. Daughter of John Gregory Witcomb and Ethel Betteridge. Resided 111 Beechwood Avenue. Killed in the Coventry Blitz 14/11/1940 Aged 17 at 111 Beechwood Avenue. Buried in the communal grave at London Road Cemetery, Coventry. Born 20/02/1910 Milnrow, Rochdale, Lancashire. Son of Reuben Wood and Alice Eastham of 66 Newbury Road, Milnrow, Rochdale, Lancashire. Grinding Machine Operator. Resided 56 Three Spires Avenue, Coventry. Killed in the Coventry Blitz 14/11/1940 aged 30 at 56 Three Spires Avenue, Coventry. Buried Milnrow Parish Church, Milnrow, Rochdale, Lancashire. Husband of Frances Zena Woodfield. Resided 133 Moseley Avenue. Killed in the Blitz 15/11/1940 Aged 33 at 133 Moseley Avenue. Wife of Albert Thomas Woodfield. Resided 133 Moseley Avenue. Killed in the Blitz 15/11/1940 Aged 35 at 133 Moseley Avenue. Born 22/02/1908 at Coventry. Son of Mr Charles Harris Worrod and Rose Stilwell. Resided 32 Glencoe Road. Employed as a Clerk in the Electricity Department at the Council House. 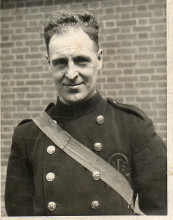 Enlisted in the Auxilary Fire Service in 1938 ( Humber Road Fire Station). Injured whilst on duty in the April Raids 11/04/1941 died at Gulson Road Hospital 13/04/1941 of wounds received Aged 33. Buried in the communal grave at London Road Cemetery, Coventry. Son of Mary Ann, and of the late William Worthington, of 92 East Street, Hillfields, Coventry. Husband of Lillian Amy Worthington. Resided 50 Dymond Road. Killed in the October Raids 19/10/1940 Aged 38 at 50 Dymond Road. Daughter of Harold and Lillian Amy Worthington. Resided 50 Dymond Road. Killed in the October Raids 19/10/1940 Aged 17 at 50 Dymond Road. Daughter of Mr. and Mrs. Shaw, of Ramsgate, Kent. Wife of Harold Worthington. Resided 50 Dymond Road. Killed in the October Raids 19/10/1940 Aged 36 at 50 Dymond Road. Daughter of William and Louisa Smallwood, of Corley Moor. Widow of William Worthington. Resided 92 East Street, Hillfields, Coventry. Killed in the October Raids 19/10/1940 Aged 73 at 50 Dymond Road. Bombers and Mash tells the story of the Second World War on the domestic front. It takes us from the kitchen to the nursery showing how women managed without almost everything from potato peelers, cosmetics and prams to food, fuel, transport - and men. These women coped with rationing, evacuation, separation from families, long hours of work in factories, hospitals and on the land. Through it all they kept the nation fed on ingeniously nutritious and economical meals - hundreds of the best, and some of the worst, are included here. In print for over thirty years, Bombers and Mash is moving, fascinating and full of posters and images from the Second World War. It is both an illustrated social history and a cookery book offering a remarkable picture of the deprivation and drama of the women's war.